If you liked this show, you should follow Somewhere in the Middle. 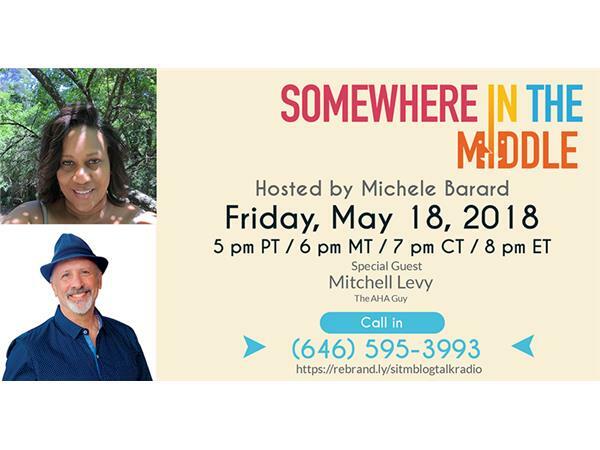 Mitchell Levy (pronounced Lee Vee) is The AHA Guy at AHAthat (https://AHAthat.com) who empowers thought leaders to share their genius. His superpower of extracting the genius from your head in a two-hour interview so you can then share it with those that need to see it. He is an accomplished Entrepreneur who has created twenty businesses in Silicon Valley including four publishing companies that have published over 800 books. Mitchell is a TEDx speaker and international bestselling author with fifty-nine business books. He's provided strategic consulting to over one hundred companies, has advised over five hundred CEOs on critical business issues, and has been chairman of the board of a NASDAQ-listed company. In addition to these accomplishments, he’s been happily married for twenty-eight years and regularly spends four weeks annually in a European country with his family and friends.